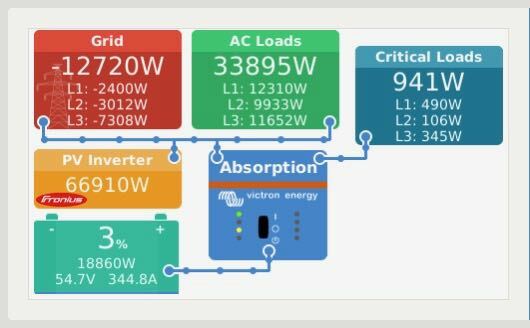 This is the real time status display provided by the Victron CCGX. The system prioritises energy sources (solar, then battery, then grid) to power the site load. It distributes available solar energy to the load, then the batteries, then the grid (in that order of priority).